A well-maintained, welcoming store can go a long way to improving your reputation. Your business will stand out when it has a spotless outside appearance—a critical factor to having an inviting establishment. 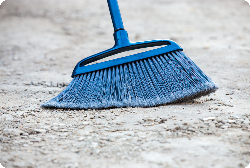 This e-learning module trains employees on keeping the parking lot, landscaping, and walkways must be attractive, clean, and hazard free at all times. Employees learn the tools they will need and the steps to follow for creating outstanding curb appeal.